Watch the Premiere of "Freakiest Foods" with Eddie Lin & Host Adam Gertler. Saturday, March 20th at 10PM Eastern/7PM Pacific. Only on Fine Living. 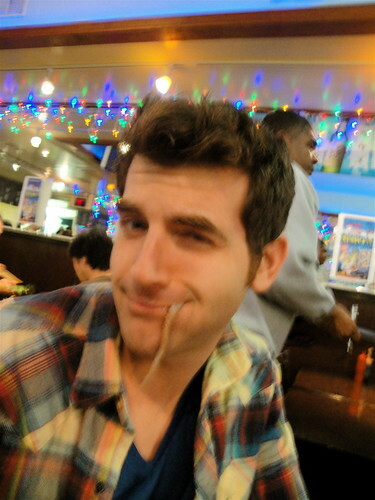 Adam Gertler, the man with the tentacle tongue. Look out, ladies! Adam Gertler may look like he's swallowed one goldfish too many back in college, but trust me, the guy knows his food, especially the freaky stuff. Join Adam and me as we head into the deepest depths of LA's Koreatown to look for some exotic sushi that still have the will to squirm on the plate. Adam doesn't try to worm his way out of this appetizer. Take a peek at some of the most unique, unusual and nastiest foods from around the good ol' U.S. of A! Do Pork Brain Sandwiches, Rocky Mountain Oysters (a.k.a. Bull's Testicles) or Tempura Battered Tarantula tickle your fancy? If not, then maybe try the Nine Pound Skillet — made with nine pounds of sausage, bacon, potatoes, ham, onions, mushrooms and over a dozen eggs topped with a mountain of cheese, this is the biggest breakfast you've ever seen! If he can finish it, host Adam Gertler will get an official t-shirt and his picture on the "Skillet Wall of Fame!" 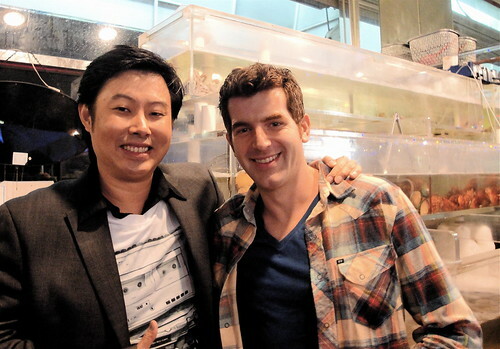 Watch the Premiere of "Freakiest Foods" with host Adam Gertler & me, Eddie Lin. Saturday, March 20, 2010 at 10PM Eastern/7PM Pacific. Only on the Fine Living Network (check your cable guide for channel and local times). If you can't watch it on premiere night, here's a list of dates and times when "Freakiest Foods" will air again on FLN. Awesome! Congratulations. :) I thought Adam was pretty entertaining during The Next Food Network Star. I'm glad to hear he's got his own show, and you're in it. :) I hope to catch tonight or tomorrow. Thanks. Thanks! Let me know how it is. I don't have FLN. Haha!! But I'm getting the DVD at the end of the week. Ciao! I was amazed at it ripped off Bizarre Foods and Man versus Food, Travel Channel should sue. OMG i cant beleive he wold eat that stuff! 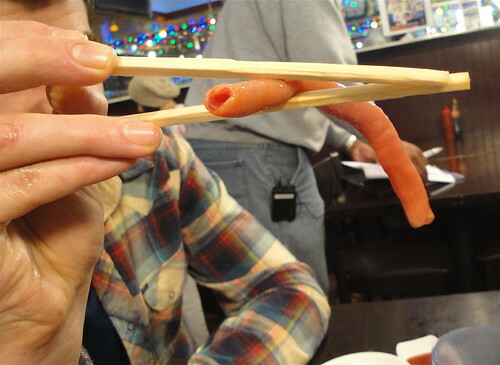 tube worm sashimi, so nasty, I had it in Seoul at a sushi rest. The nastiest thing I ever ate.